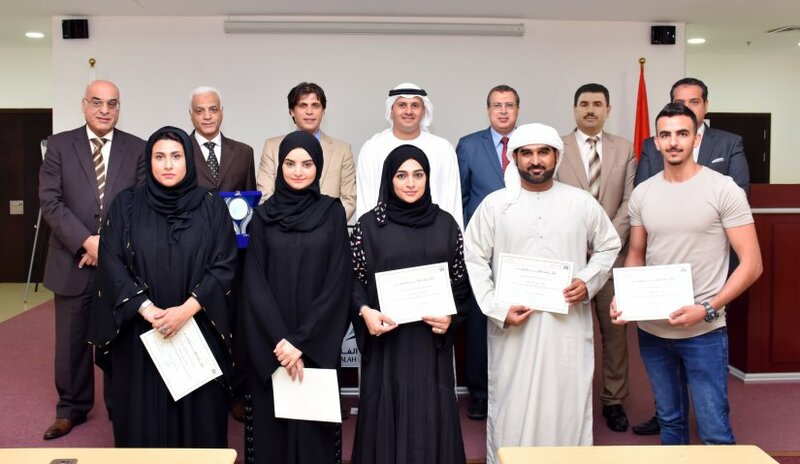 Al Falah University’s Chancellor, Dr. Noor Aldeen Atatreh, congratulated the students who participated and won second place in the Intellectual Property Award for Schools and Universities for the year 2016-2017 organized by Dubai Customs. Dr. Atatreh stated "It is a great honor for all of us to witness the progress and achievements of the university. Al Falah managed to be included among the finest institutions of higher education.” He also added that this success was the result of the work and dedication of students and faculty members. Al Falah University is planning to hold a ceremony to honor the students who won second place in the Intellectual Property Award on Wednesday 10th May 2017 with the attendance of representatives from Dubai Customs.